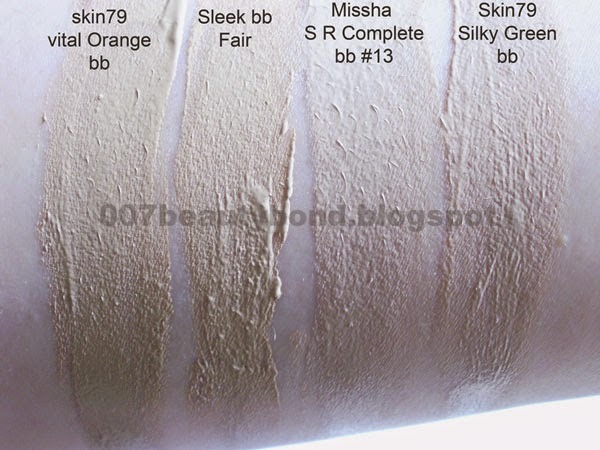 Finding suitable bb creams for fair skin is a difficult task, I decided to post some swatches of the bb creams I currently own, I hope this is helpful to you! In my opinion these bb creams will work for individuals with skin tones ranging from NW/NC 10 to NW/NC 15/20. More details below. I took my pictures indoors with natural lighting. 1. Skin79 SUPER+ BEBLESH BALM TRIPLE FUNCTION SPF50+ PA+++ (Vital Orange) Soft Matte finish. In my opinion this would work on fair skin with warm yellow undertones (I find this bb cream too warm for my skintone). 2. Sleek Be Beautiful Blemish Balm SPF 15 Fair According to sleek this bb cream has a cool yellow undertone. This one is less yellow than the Skin79 (Vital Orange). Gives skin a natural finish. I can wear this bb cream as long as I apply a light layer, because if I layer too much it starts to look too yellow on me. 3. 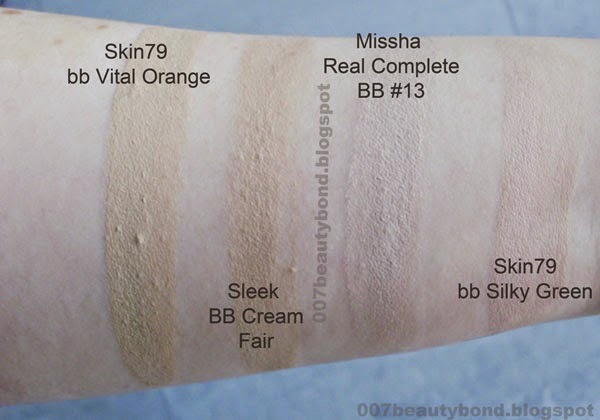 Missha M Signature Real Complete BB Cream SPF25 PA++ # 13 light milk beige, neutral. I love this bb cream, it gives a satin finish to the skin and is a very good match to my skintone. My only complaint with this bb cream is that sometimes, on some days, looks a little bit more pink toned gives me a slight grey cast. Have you tried these bb creams? 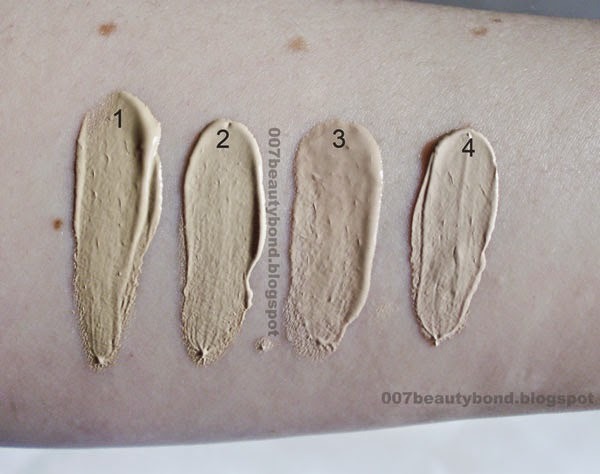 Do you know any others that are suitable for fair skin tones?